Automotive Product Finder Magazine | Electric buses: Is India ready for the leap? Electric buses: Is India ready for the leap? With a population of more than 1.3 billion and widespread public transportation system that runs on diesel, India is an ideal location to run electric buses. Though a start has been made, the journey is arduous. Can India take a leap from diesel powered vehicles to complete electric fleet? Rapid urbanisation in India is leading to an increase in demand for basic services including housing, water, sanitation and transport. The total number of registered motor vehicles in India has increased from 55 million in 2001 to 192 million in 2015. At present, there are around 1.6 million registered buses in India, out of which only 170,000 are operated by public bus operators. While India needs to upgrade its public transport fleet, the country has to do it sustainably by curbing dependence on fossil fuel and reducing CO2 emissions. Shifting to electric engine for public transport vehicles could be the right choice. Rising pollution and growing public pressure are forcing governments (centre as well as state) to evaluate zero emission solutions such as electric buses for transportation. “Urban pollution in many cities has reached a point where it poses a serious risk to citizens' health and well-being. Governments find that the economic cost to society far exceeds the cost of upgradation. Hence, there is a push towards cleaner technologies. Coincidentally, battery-electric vehicle is the only type of zero-emission vehicle which can achieve some economic parity with existing buses based on fossil fuel on a total lifecycle cost basis. 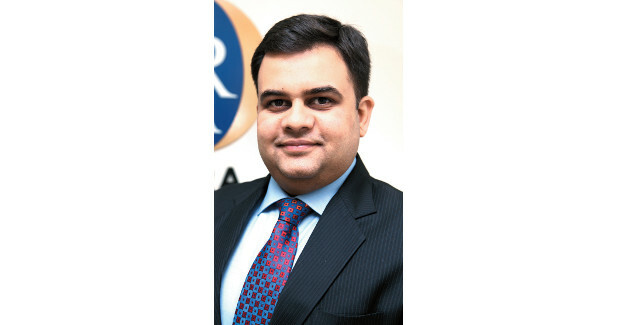 So there is timely congruence of the agenda of cleaner environment with viability of new technology,” says Alok Jain, Managing Director, Trans-Consult Asia Ltd - a management consulting firm with presence in Hong Kong and India that specialises in traffic and transport advisory, new technology, data analytics and clean fuel technologies. Another big challenge is of electric bus operation. “While conventional buses are more or less ‘one-size-fits-all’ type of product, the success of electric buses comes from optimisation of route, topography, driving behaviour and ambient temperature. This, therefore, requires much more active management with the support of technology. As these systems are mostly data-driven, there is a huge opportunity to deploy artificial intelligence (AI) and machine-learning as an integral part of electric bus deployment,” opines Jain. To promote eco-friendly vehicles, Department of Heavy Industry, Government of India (GoI), launched the FAME India scheme - Faster Adoption and Manufacturing of Hybrid and Electric vehicles in India - in April 2015. FAME India Scheme is said to have benefited a total of 148,275 electric and hybrid vehicles from April 1, 2015 till June 30, 2017. However, to give boost to electric buses market the government will have to do more. “As on date, except for the FAME incentive, the other GoI initiatives are only work in progress or announcements. They will need to be completed and released. Without this enablement of the ecosystem, the market will be insignificant with just FAME. Moreover, the OEM readiness with products is just in the process of being achieved- so for now we are only ready to respond with deliveries in the case of orders in large numbers,” says Karthick Athmanathan, Head, EV and eMobility Solutions, Ashok Leyland Ltd. The main enabling customers - state transport undertakings (STUs) - are cash strapped and wary of electric vehicle (EV) technology and are looking to adopt a tendering and operating model that will help them reduce risks and pass the same onto OEMs and PPP bus operators. “It is naturally going to take time to arrive at a mechanism that will help address all concerns. The STUs are not yet able to assess and assimilate the most efficient (investment as well as energy) operating models. This is resulting in requirements where buses have a very large range, which in turn need very large batteries, thus escalating costs,” opines Athmanathan. Another challenge is to set up the suitable charging network to provide logistic support for the vehicles. “At the national level, assuming the electric bus population by 2030 reaches to the desired level, it would call for a demand of 120 GWh of energy every day, hence the generation has to catch up with that,” says Dr Jindal. The market for electric buses still has not taken off - given that the government incentives for electric buses were finalised and notified a couple of months ago. “There are also other government initiatives in addition to FAME - and these are expected to be rolled out over the next year or so,” informs Athmanathan. While there have been many media reports for e-buses, the only concrete orders have been about 30 - all of which have been taken by China-based OEMs. “We expect anywhere between 50 to 100 buses ordered (not delivered) in this fiscal - and anywhere between 500 to 2000 buses next year, depending on government’s initiatives and STUs push,” says Athmanathan of Ashok Leyland. With current initiatives, costs and technologies, the e-bus volumes will be restricted to the relatively low-volume segment of ‘city public transport buses’ - the annual volumes of which are only 7.5K to 10K. “The balance segments like staff, school, state carriage and intercity, which constitute close to 80 per cent of the market, are not yet going to see action for various reasons,” states Athmanathan. NGT has been pushing the states with eco-sensitive zones also to adopt zero emission vehicles. The FAME scheme launched in 2015 incidentally, even though covered hybrid buses but did not fructify in buying of any buses by STUs except MMRDA, Mumbai. “Realising this, the revised FAME 2 scheme announced recently has covered the electric buses for possible candidate for subsidy. Niti Ayog has also identified electric buses as the rising stars for near term focus for introduction. All these factors put together are making buses as the high priority segment for electrification,” points outs Dr Jindal. The local manufacturing of electric buses is also picking up with some international players entering into tie-up with Indian companies to setup assembly units in the country. Some of key electric bus manufacturers in India are Tata Motors, Ashok Leyland Limited, JBM Auto Limited (with Solaris Bus and Coach, Poland), Deccan Auto Limited (with Zhongtong Auto Co, China) and Goldstone Infratech Ltd (with BYD Auto Industry Co, China). In addition to considerable in-house work and resourcing, for want of capacity in engineering, Ashok Leyland has built alliances with external resources and is in the process of setting up very small and lean satellite centres to tap talent and expertise - both in India as well as Europe. “All our future platforms are now being engineered with electric power trains. Over the next year or two, we would have committed about Rs 500 crores on electric buses and trucks - development, facilities, licences, etc,” says Athmanathan. According to Dr Jindal, Tata Motors had anticipated the need for hybrid and electric vehicles more than a decade ago and, hence, has been working towards developing the technology of driveline for these vehicles. In 2010, Tata Motors demonstrated hybrid buses during the Commonwealth Games, and subsequently carried out trials in many cities like Delhi, Mumbai and other metros in the country. The vehicles demonstrated reduction in emission upto 30 per cent. However, the vehicles could not be deployed due to lack of interest from STUs as well as government due to lack of funds. Irrespective of that, TML has continued the development of battery-powered electric buses and these were showcased in last Auto Expo. “Since then, 9 m and 12 m electric buses have been undergoing trials in many parts of country and have performed very well. The full low floor electric bus will also be launched very soon which along with current 9 m as well as 12 m vehicles have a huge potential for export,” discloses Dr Jindal. There is huge potential for electric buses specifically for the public transport. “Similarly, the other buses for staff transportation, school, etc will add to the demand. Tata Motors is continuously working on innovative ways of design and develop the EV buses, which are efficient, lightweight and affordable and are confident of participating in the India’s EV journey,” opines Dr Jindal. Some experts believe that state-owned public transport utilities are ideal to use zero emission vehicles, while private transporters are unlikely to opt for electric buses till EV’s upfront costs significantly comes down to match diesel vehicle’s total cost of ownership. “Electric buses for public transport for intra-city is a sure given - it is only a matter of time - to figure out if it is happening anywhere between three to seven years. Private transporters, like staff and school, are unlikely to find funds or fancy for the next five years or so, since they do not cover enough distances per day. However, given all this is now only a matter of time, Ashok Leyland has taken a very pro-active and aggressive stand towards being ready with products, supply chain, technology and capacity. We have a fairly detailed plan for most of the relevant products and platforms moving to EV,” states Athmanathan. As on date, except for the FAME incentive, the other GoI initiatives are only work in progress or announcements. Without this enablement of the ecosystem, the market will be insignificant with just FAME. India being a billion people market, one-sixth of humanity, should not just take a step towards climate agenda but by being a viable alternative to China, may also adopt an economic growth agenda. There is a need to find innovative ways to fund the acquisition of EVs, coupled with preferential rate for power so that on a total cost of ownership basis, these buses are self-sustaining over their life cycle. China, which started investing heavily on electric vehicle technology 10 years ago, has been at the forefront in using electric buses for public transport. “By combining its economic might with a market of 1.2 billion people (which requires more than 120,000 buses per year just to replace its annual fleet retirement), China had absolutely right conditions to make this a success. Today 98 per cent of world fleet of electric buses are operating in China,” informs Alok Jain of Trans-Consult Asia. India also has the same conditions where it can make a choice between importing Chinese buses or creating a policy framework to develop a home-grown solution to clean fuel such as hydrogen or fuel cell. The market dynamics are conducive and both technologies have proven to be viable, albeit not commercially feasible yet.